Come On In, But Dont Touch Anything 1 Kgs. 20:1-4 Total commitment confessed 1 Kgs. 20:5-9 Total with certain limitations Rev. 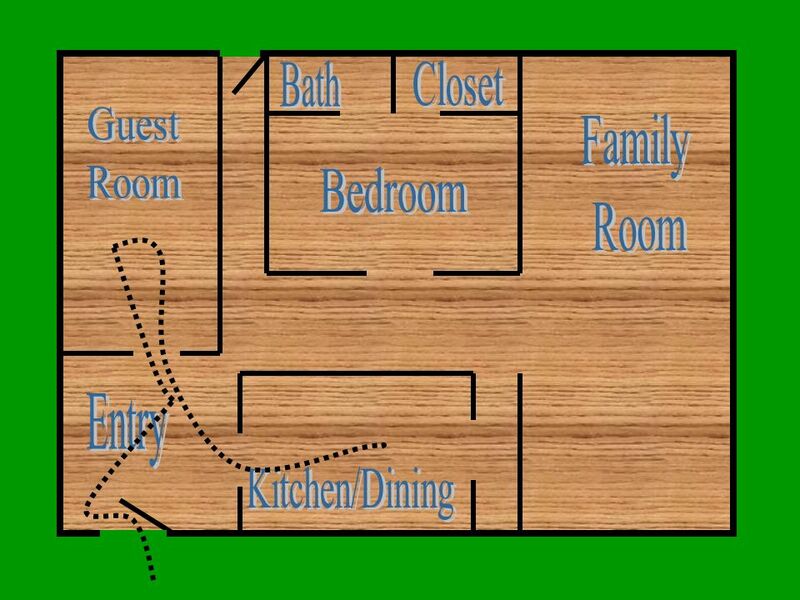 3:19-20 Jesus seeks to enter. 3 Come On In, But Dont Touch Anything Would He find us hospitable I Pet. 4:9 Would He find evidence of the wrong guests II John 10-11 Will we allow Jesus to be Lord over our companions or is that going too far? 5 Come On In, But Dont Touch Anything Difference in our house and the Lords –Gods house is not for common I Cor. 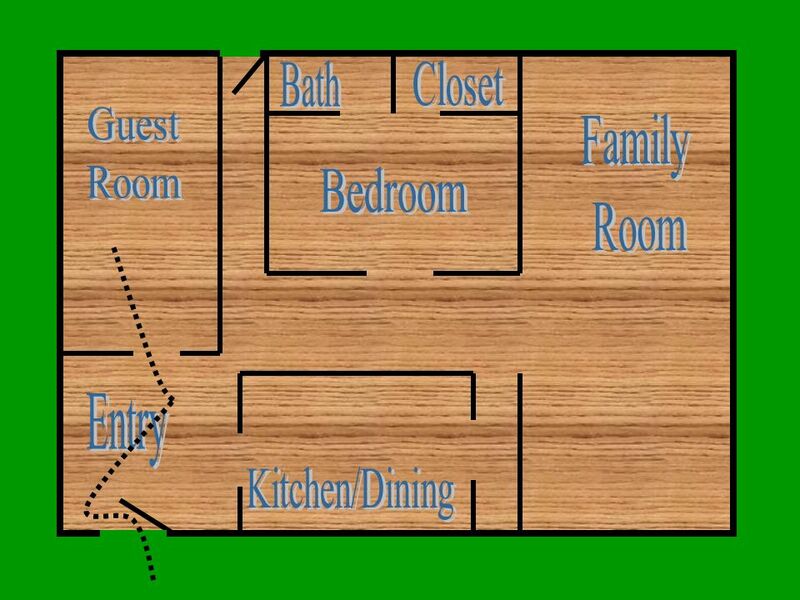 11:20-22 –His is a house of prayer Matt. 21:13 Our meals should not be physical only Not by bread alone Matt. 4:4 What shall we eat Matt. 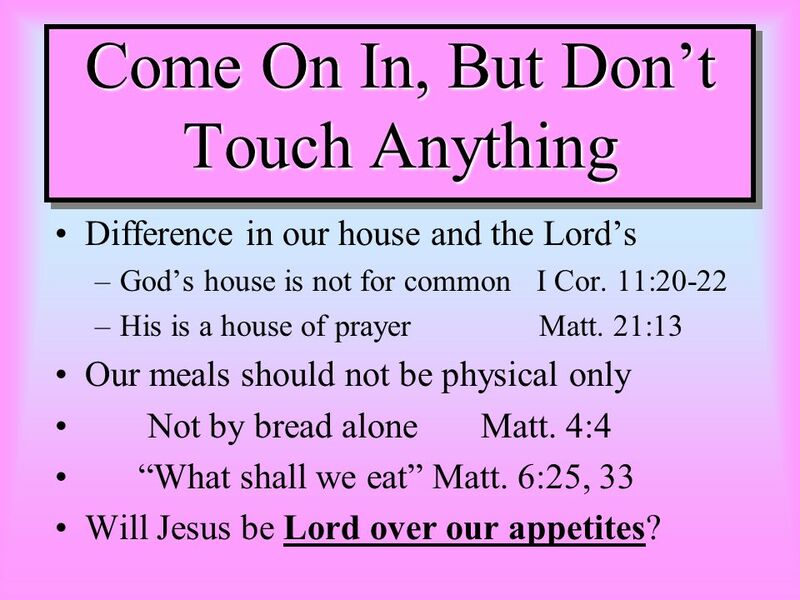 6:25, 33 Will Jesus be Lord over our appetites? 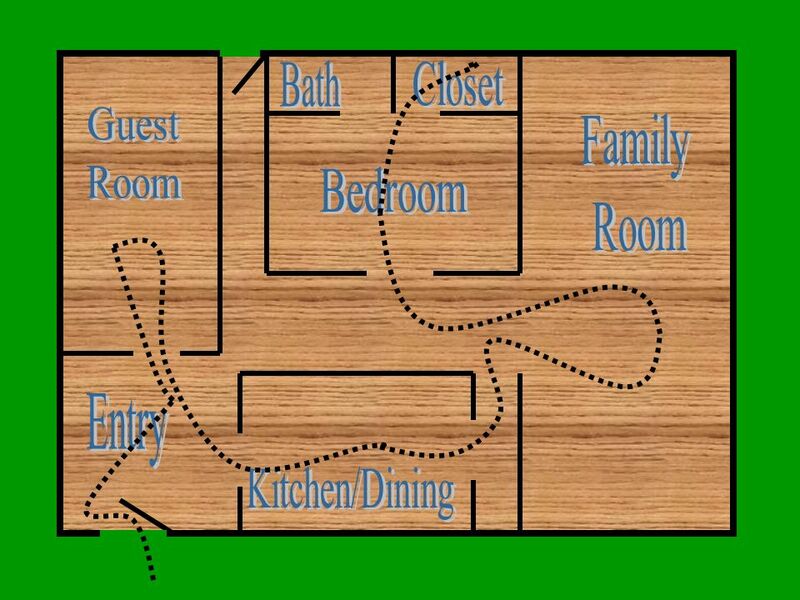 7 Come On In, But Dont Touch Anything Micah had a house full of gods Jdg. 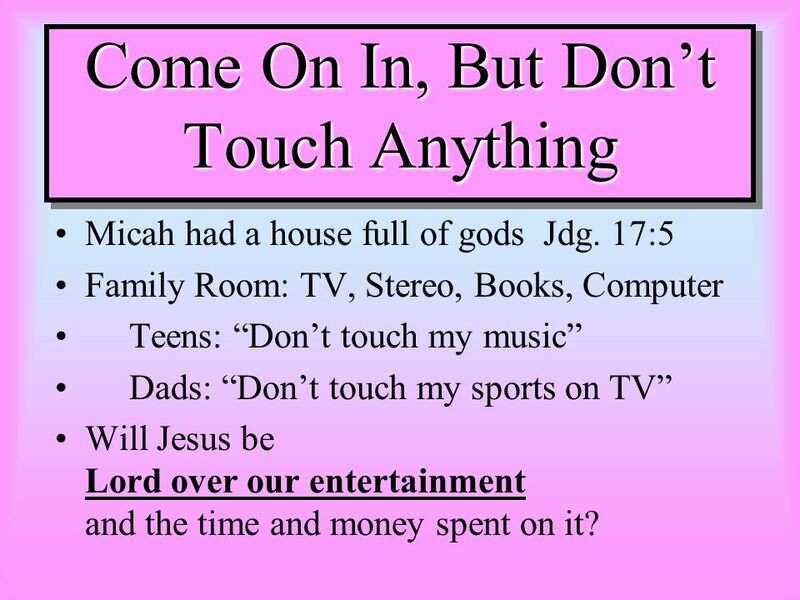 17:5 Family Room: TV, Stereo, Books, Computer Teens: Dont touch my music Dads: Dont touch my sports on TV Will Jesus be Lord over our entertainment and the time and money spent on it? 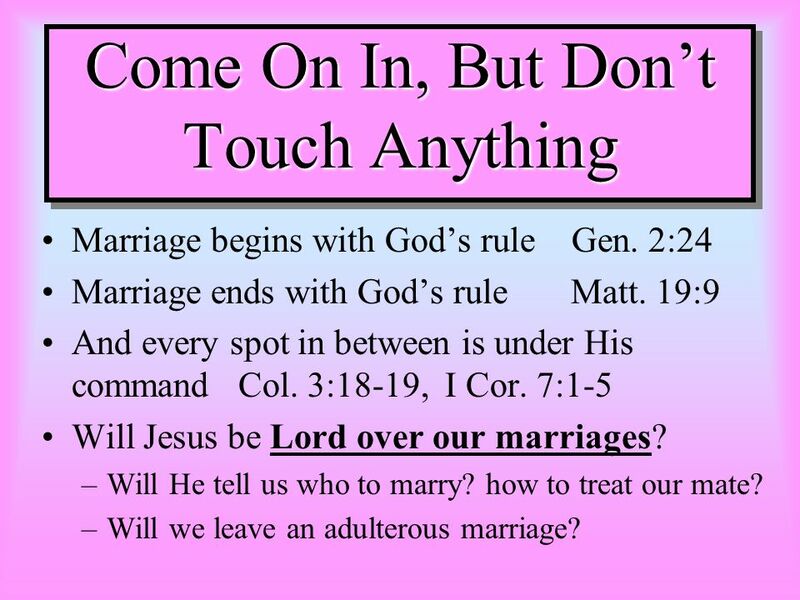 9 Come On In, But Dont Touch Anything Marriage begins with Gods rule Gen. 2:24 Marriage ends with Gods rule Matt. 19:9 And every spot in between is under His command Col. 3:18-19, I Cor. 7:1-5 Will Jesus be Lord over our marriages? –Will He tell us who to marry? how to treat our mate? –Will we leave an adulterous marriage? 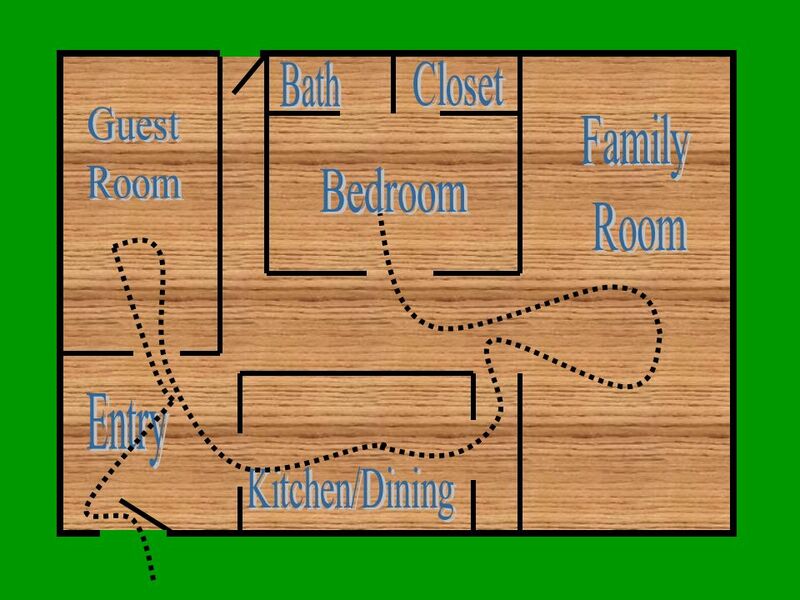 11 Come On In, But Dont Touch Anything Immodest clothing I Tim. 2:9-10, I Pet. 3:3-5 Skeletons in our closets (shameful past) Phil 3:13... forgetting those things which are behind... (pride in past accomplishments, or sorrow over previous failures) Is Jesus Lord over our past: our regrets, our anger, our burdens, our failures? 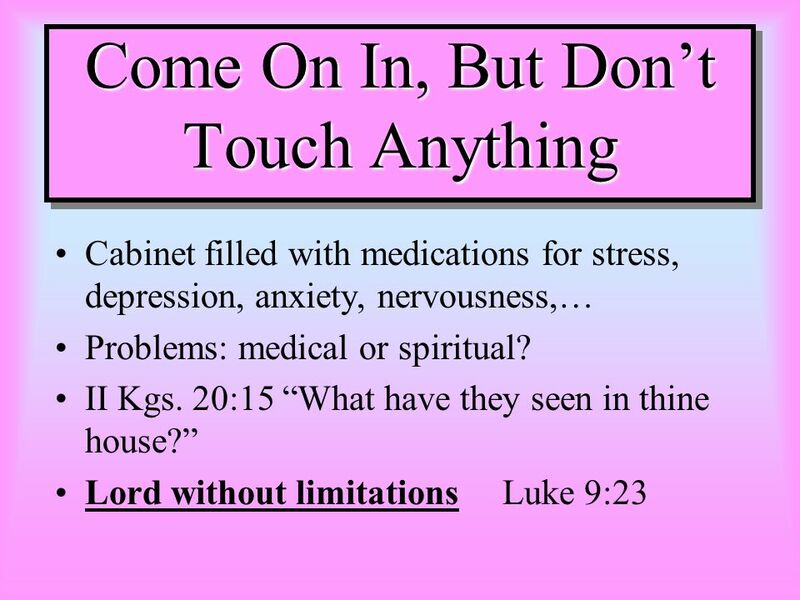 Download ppt "Come On In, But Dont Touch Anything 1 Kgs. 20:1-4 Total commitment confessed 1 Kgs. 20:5-9 Total with certain limitations Rev. 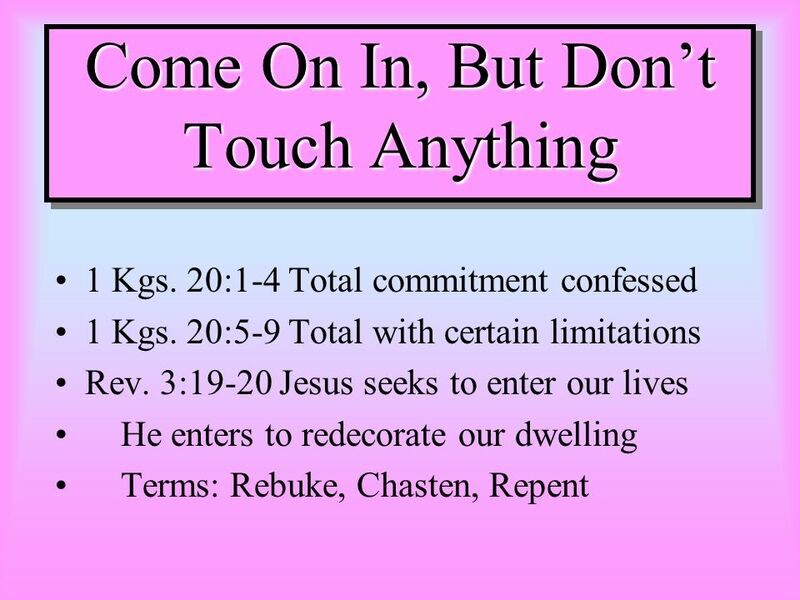 3:19-20 Jesus seeks to enter." Let Your Life Count Chapter 4. This is the confidence we have in approaching God: That if we ask anything according to his will, he hears us. And if we. 1 Corinthians 10:12 Therefore let him who thinks he stands take heed lest he fall. At the back of this passage lies the over-confidence of some of the. 1 Samuel 4:12-22 A great catastrophe has befallen Israel. The Ark has been captured by the Philistines. A man comes with his clothes rent and earth on. A Study of Psalm 71. Delivers me (v. 2, 4) – Col. 1:13; 2 Pet. 2:7-9 Rescues me (v. 2) – 1 Cor. 10:13; 2 Tim. 2:26 Hears me (v. 2) – 1 John 5:14-15; 1.